Maharashtra is known for its Warli folk paintings. Warli is the name of the largest tribe found on the northern outskirts of Mumbai, in Western India. 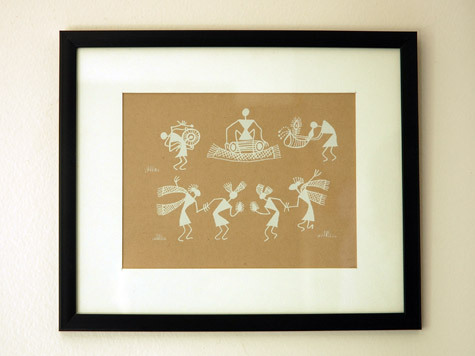 The roots of Warli art may be traced to as early as the 10th century AD. Warli is the vivid expression of daily and social events used by them to embellish the walls of village houses. These paintings usually depict scenes of human figures engaged in activities like dancing, hunting, sowing and harvesting.